Lady Susan, a recent widow, with few means of financial support, utilizes her other assets to great effect; her intelligence, beauty, and ability to seduce a man, either single or married. Manipulating everyone she comes into contact with, she schemes to her own advantage. Or does she? 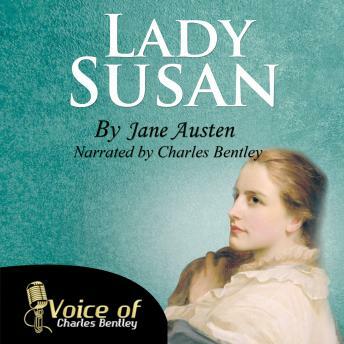 Listen to Charles Bentley narrate this classic and yet largely undiscovered novel written by the extraordinarily talented, Jane Austen. This particular Epistolary, is made all the more astounding when research reveals that Jane was only 18 or 19 years old when she crafted this 18th-century femme fatale, whose tale of wickedness is woven into the fabric of British high society. For those that know Jane Austen well, and those yet to discover how fabulous and insightful her writing truly is, are in for a real treat. Follow the 41 Letters,written between the various parties, enjoy the unfolding plot, the schemes and intrigue around Lady Susan's outrageous manipulations.